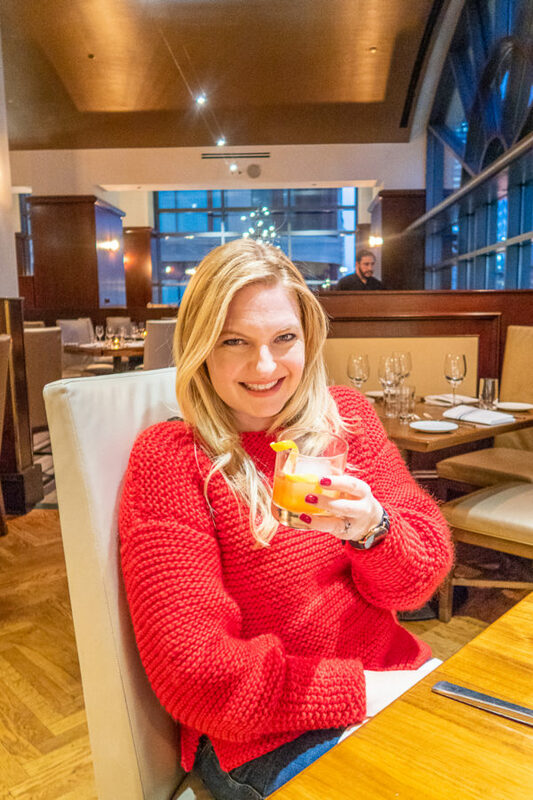 I am excited to be partnering with Omni Hotels to share my recent staycation at the Omni Chicago Hotel, and to give you a look at their new Season of Smoke special menu. Even though we live in Chicago, it is always a treat to get to stay the night in a different neighborhood. It gives us an opportunity to experience our city in a new way, while being pampered. 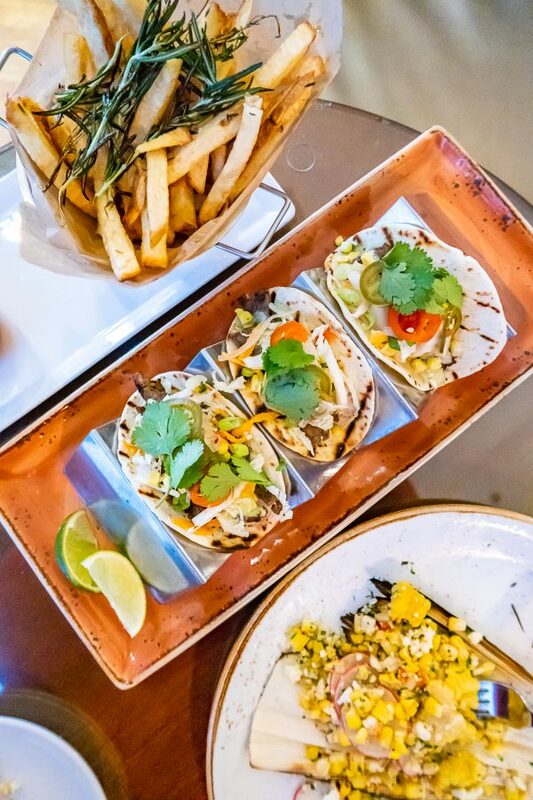 Last week we spent a night at the Omni Chicago Hotel where we got a chance to dine at the hotel’s restaurant 676 Restaurant & Bar and taste their Season of Smoke menu. 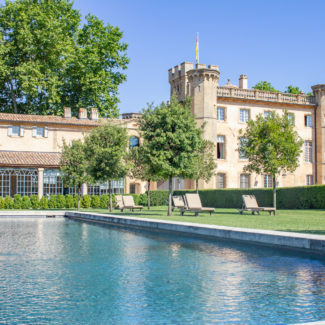 We were so impressed by the food, the kindness of the hotel staff, and their attention to detail. 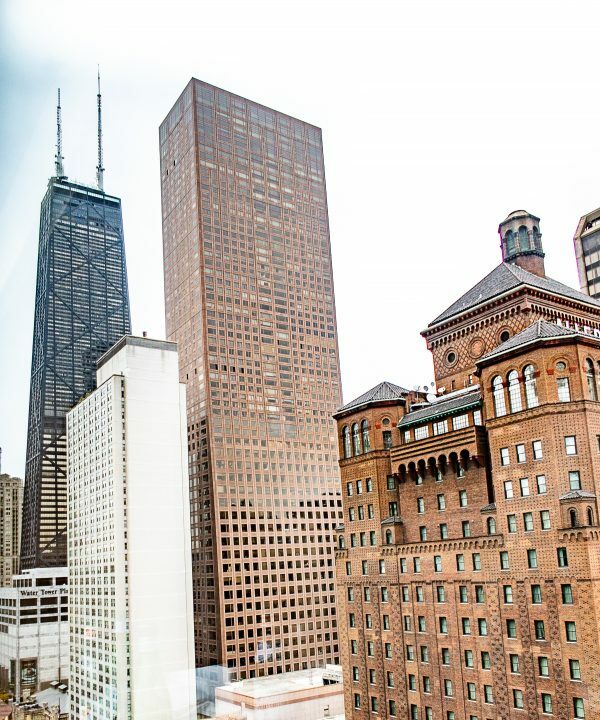 The Omni Chicago Hotel is right on Michigan Avenue, within the Magnificent Mile. It’s a bustling center of activity filled with the best shopping in the city, along with plenty of restaurants, and places to explore. 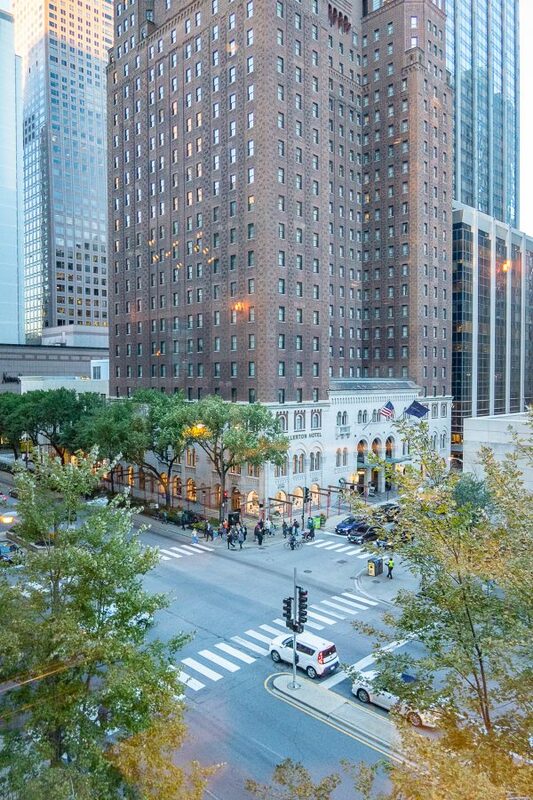 When guests arrive at the Omni Chicago Hotel, they enter through the main entrance just off of Michigan Avenue and then go up to the lobby on the third floor. Placing the hotel lobby on the third floor accomplishes a few things. 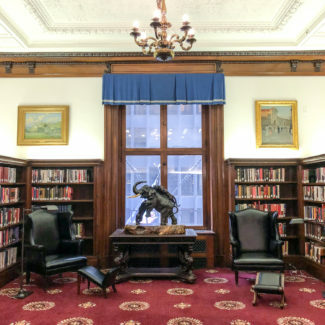 It gives the space a view of the action below on Michigan Avenue, while also creating a quiet sanctuary away from the noise and commotion. The peaceful atmosphere instantly puts you into vacation mode (even if you only traveled from Old Town). 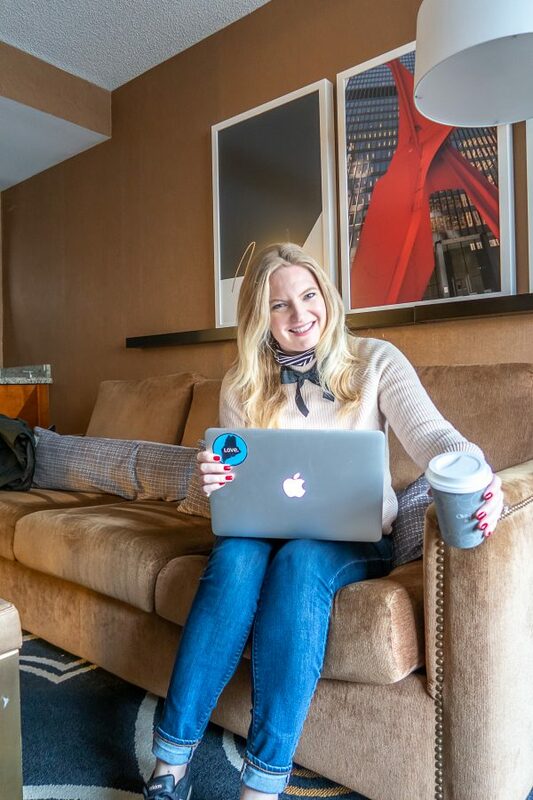 The lobby is so welcoming that you can find people working at the tables or hanging out with friends sipping coffee. The special thing about the Omni Chicago Hotel is that all of the rooms are suites! 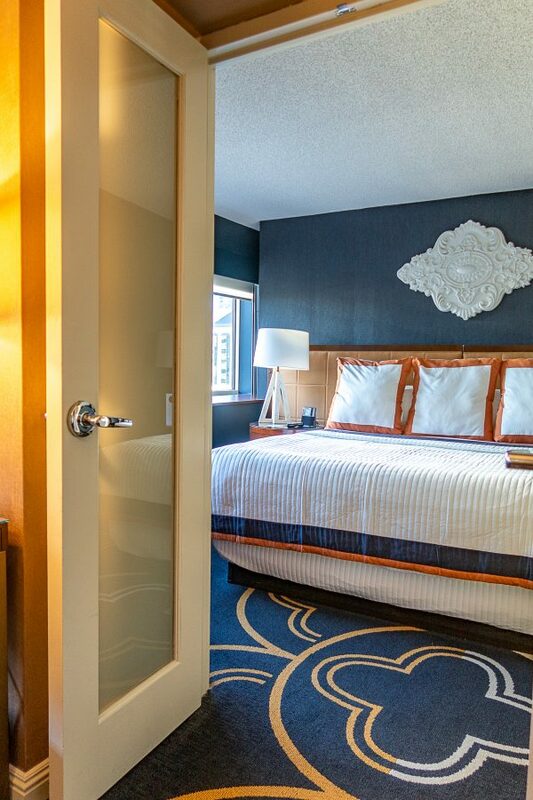 The larger space and separate living space and bedroom make the hotel room feel like a home away from home. It is a place that you actually want to spend time. 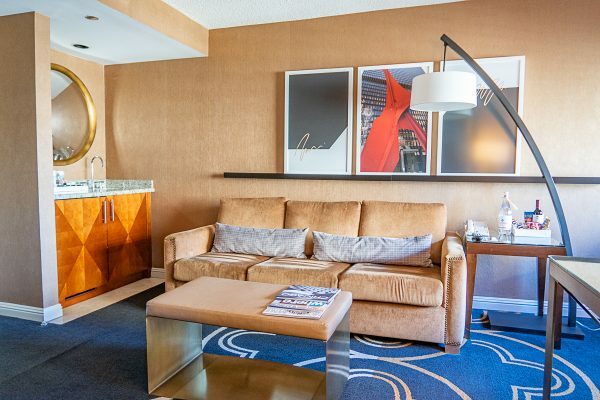 The suite had a living area with a wet bar, couch, television, and work area. French doors separated the living area and the bedroom. The large bathroom could be conveniently be accessed from both the bedroom and the living area. The large desk had plenty of space and it was a pleasant and convenient place for me to get a little work done. 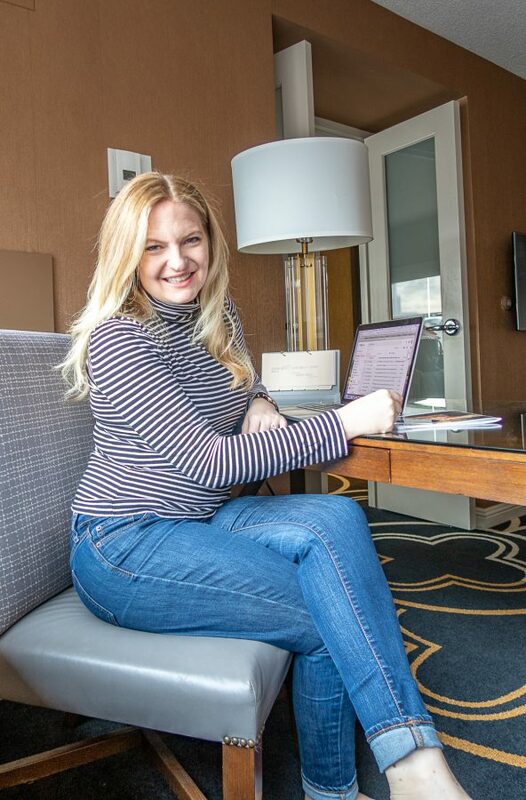 Often the desks in hotel rooms are small and uncomfortable work spaces, which is unfortunate when you need to get work done on the go. The desk space in my suite wasn’t an afterthought, it was a highlight of the room. The suite had views of both Michigan Avenue and the Willis Tower (formerly known as the Sear’s Tower). Soon after I checked in, the hotel sent up a whole bunch of snacks, which was perfect because I am always hungry. 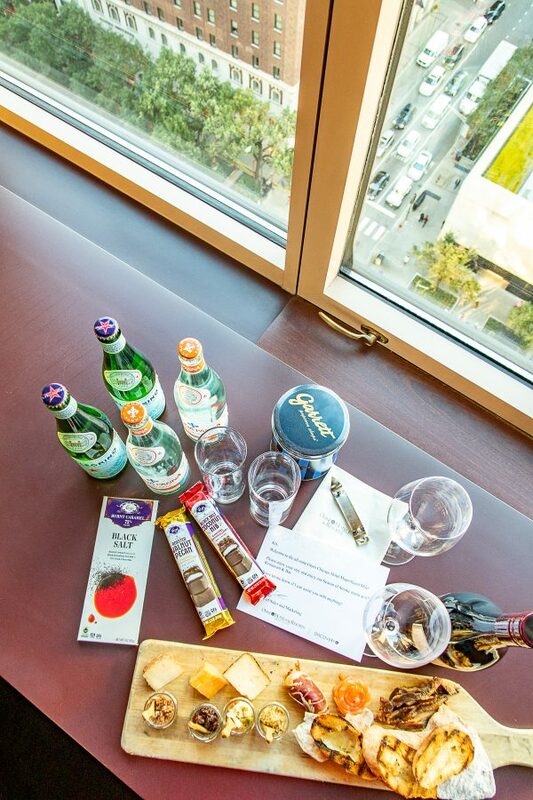 They sent up a mix of cheese and charcuterie and Chicago specialties like Garrett’s popcorn and Vosges chocolates. It was a very kind way of making me feel welcome. Charles met me at the hotel after work, and we hung out and snacked while we got ready for dinner. The hotel had arranged for us to dine at their hotel bar/restaurant, 676 Restaurant & Bar, where we tasted a variety of their seasonal offerings. We started with cocktails and snacks at the bar area before moving to a table in the dining room for dinner. 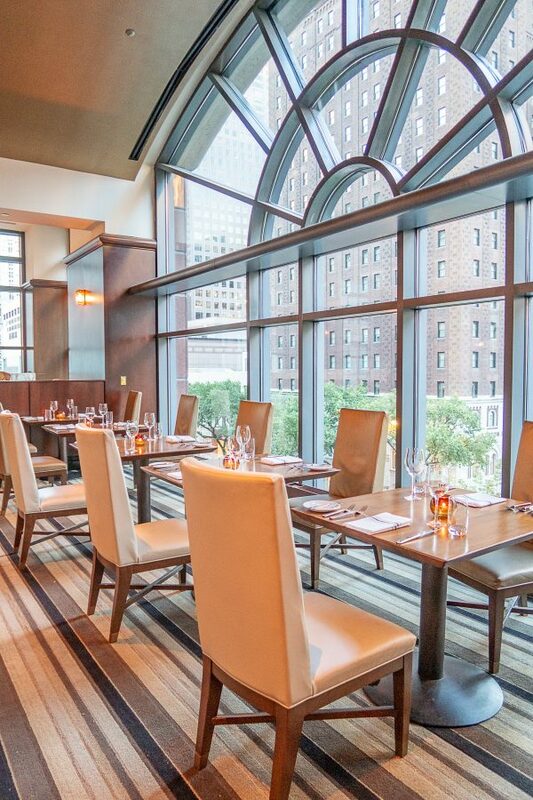 The restaurant has large windows overlooking Michigan Avenue filling the space with natural light, and giving guests the opportunity to people watch the crowds below. 676 Restaurant & Bar manages to create different atmospheres within the same space. The long bar is the place for an after work drink, or the spot to watch a game, the small tables along the window feel cozy and intimate, and the dining room overlooking Michigan Avenue is city chic yet welcoming. The menu is rooted in the Midwest. You will find hearty fare, and classic American foods with modern twists. 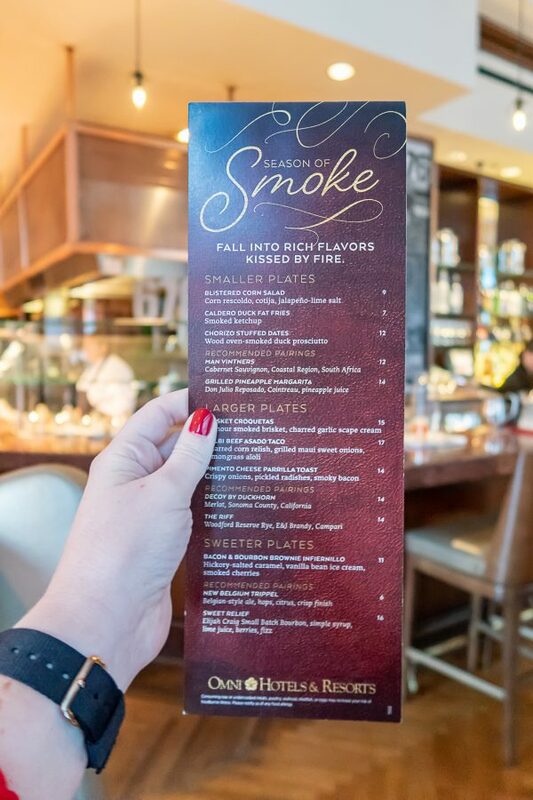 It is clear that the culinary program emphasizes creativity, and the current special menu, Season of Smoke is a perfect example. Instead of just crafting a menu based on seasonal fall foods, the chefs took things one step further and found ways to bring an element of smoke into the preparation and flavor profiles. We started with cocktails. I had The Riff, a special cocktail that is part of the Season of Smoke menu. 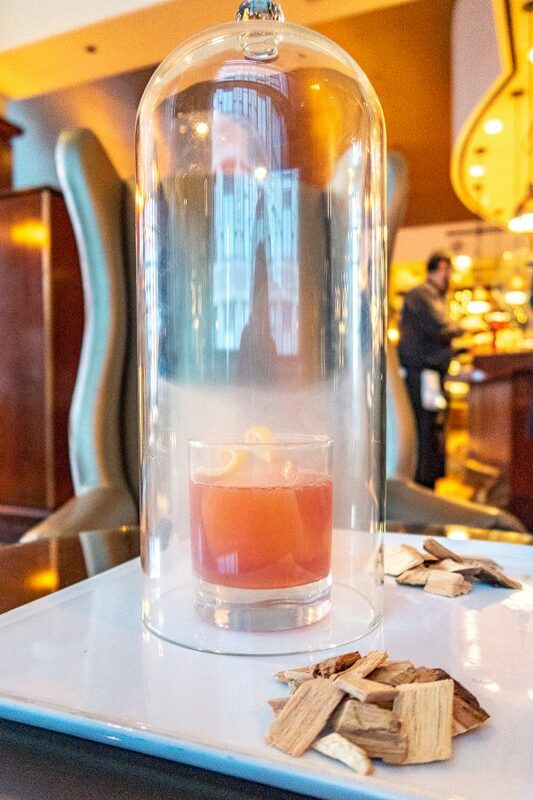 It is made with Woodford Rye, E+J Brandy, and Campari, and then served surrounded by smoke! When I read the description, I thought that it might be strong and boozy, but instead it was sweet, bitter, slightly smoky, and very easy to drink. It is delicious on its own, or paired with food. Next came food! 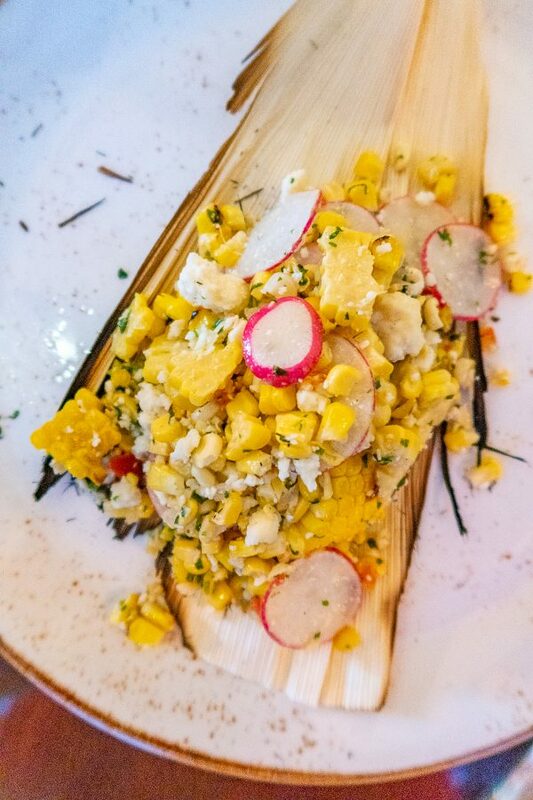 I love corn, and the Blistered Corn Salad with cotija cheese, radish, and jalapeno lime salt was incredible. It mixed smoky flavors (it came covered in smoke) with the bright refreshing flavor of lime and a little kick of spice. Its taste captured the sense of a crisp sunny fall day. Charles and I have a soft spot for fries. 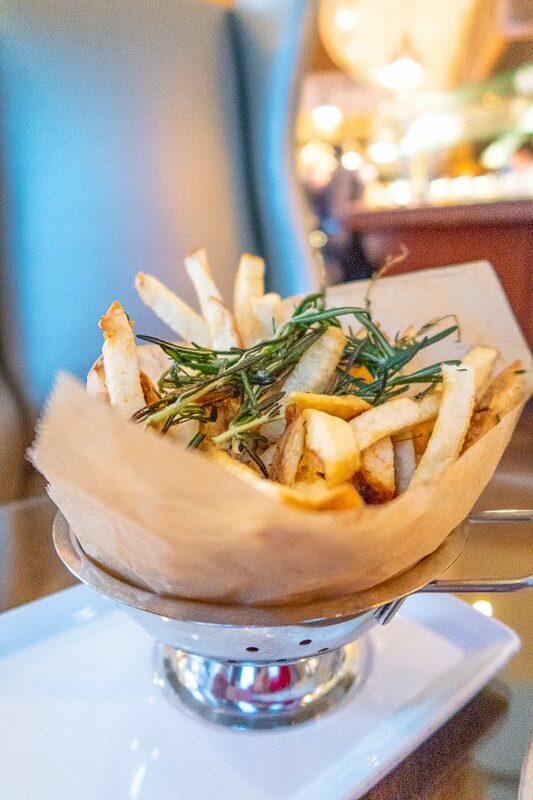 The duck fat fries came with rosemary and smoked ketchup. We had never tried smoked ketchup before, but it takes on a flavor similar to barbecue sauce. Charles especially loved the way the rosemary infused with the fries. My favorite item was the Kalbi Beef Asado Tacos. They are the ideal size for a snack, but pairing them with the Blistered Corn Salad would be enough food for a full meal. The tacos were filled with super tender beef and topped with fresno chilis, jalapenos, and cilantro and drizzled with a lemongrass aioli. The aioli took these tacos to the next level, it marries the flavors and balances the smokiness. The aioli was so good that it could be served as a dip! After our small feast of snacks, we moved to the dining room for dinner. 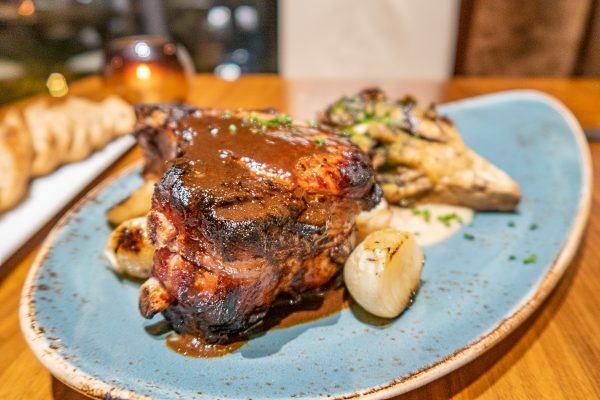 We ordered an apple and endive salad and one of that night’s specials, a smoky pork with mushrooms, cipolini onions, and a white bean puree. It was nice that the special was both seasonal and in line with the Season of Smoke theme. 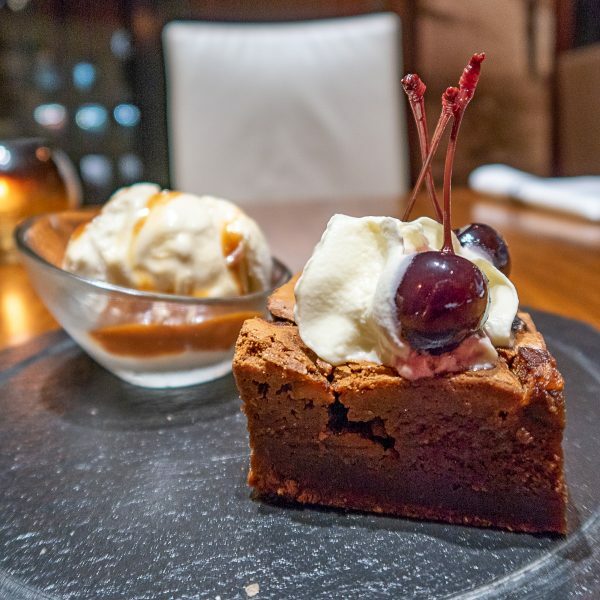 We finished our meal with the Bacon Bourbon Brownie, which managed to combine several of our favorite things: salted caramel, bacon, cherries, vanilla ice cream, and whipped cream. Charles doesn’t have much of a sweet tooth, but he loved this. It brought together sweet, salty, and smoky flavors together in a satisfying way. After dinner we settled into our room for the night. I was worried that the downtown location might make for a loud night, but it was so quiet and we both got an exceptional night of sleep – over 9 hours! We woke up feeling well rested. Although I didn’t take advantage of this hotel offering, you can pre-order your morning coffee or tea to be brought to your room in the morning. It’s a little detail that I haven’t seen anywhere else. The best part about staying in a hotel, just might be the breakfast. I usually cook breakfast for myself, so having someone else cook my breakfast seems so luxurious. I am convinced that breakfast tastes better when someone else makes it. 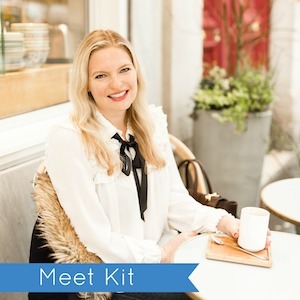 And I always feel ahead of the game after working my way through my inbox over a cup of tea while I wait for my order to arrive. I opted to order the classic eggs benedict, which was perfectly executed. The English Muffins were delicious, I suspect that they were made in-house, the Canadian bacon added just enough meatiness, and most importantly, the eggs were perfectly poached with warm thick runny yolks, and drowned in plenty of hollandaise. 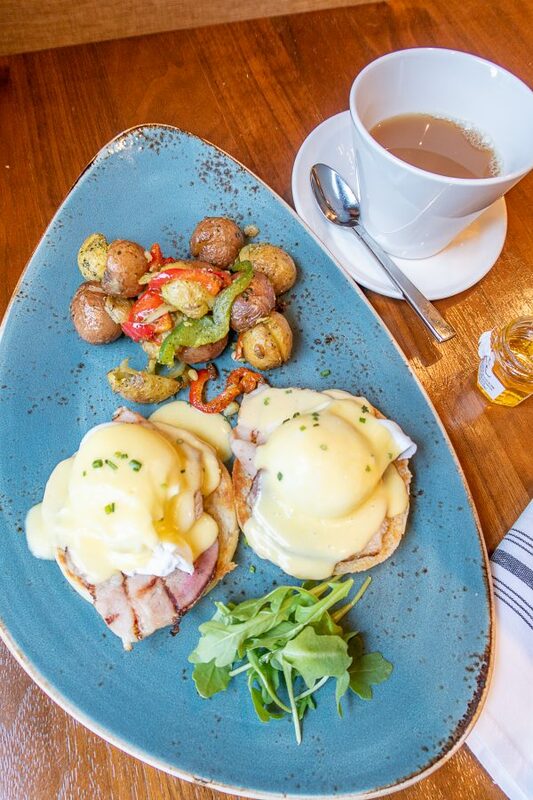 I believe that you can judge a breakfast spot by their breakfast potatoes, and the potatoes at 676 Restaurant & Bar were excellent – especially when dipped in some of the excess hollandaise. I leisurely sipped my tea and read the charming Megan Mullally and Nick Offerman article in Michigan Avenue Magazine before retreating to my room to catch up on a touch of work before heading home. We a lovely stay at the Omni Chicago Hotel and returned home relaxed and refreshed. 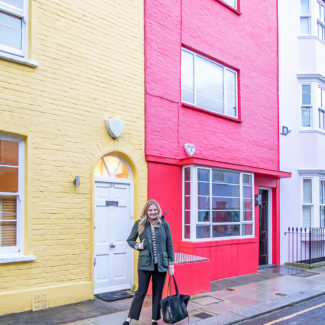 We were happy to discover 676 Restaurant & Bar, and will surely return for after work drinks and snacks in the future. 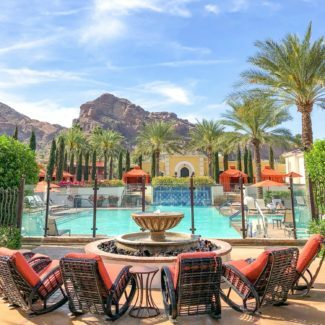 We also love staying at Omni Hotel properties when we travel, last winter we had a fantastic weekend away at the Omni Scottsdale! This is a sponsored conversation written by me on behalf of Omni . The opinions and text are all mine.